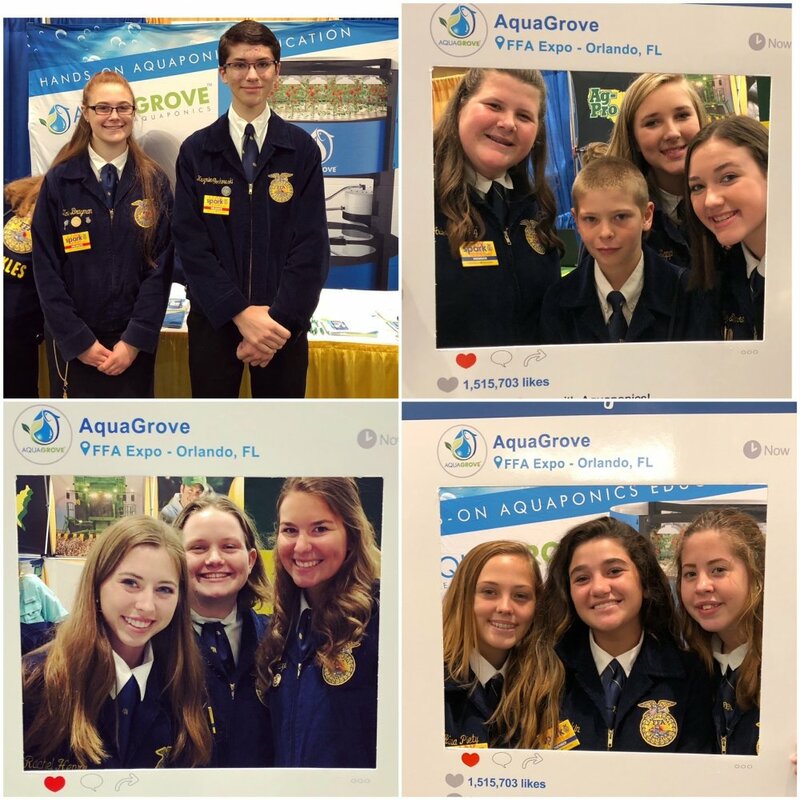 June 27, 2018 By Erika C.
Earlier this month, AquaGrove joined thousands of students in Orlando, Florida for the Florida Future Farmers of America (FFA) 90th Annual State Convention and Expo (June 11-15, 2018). 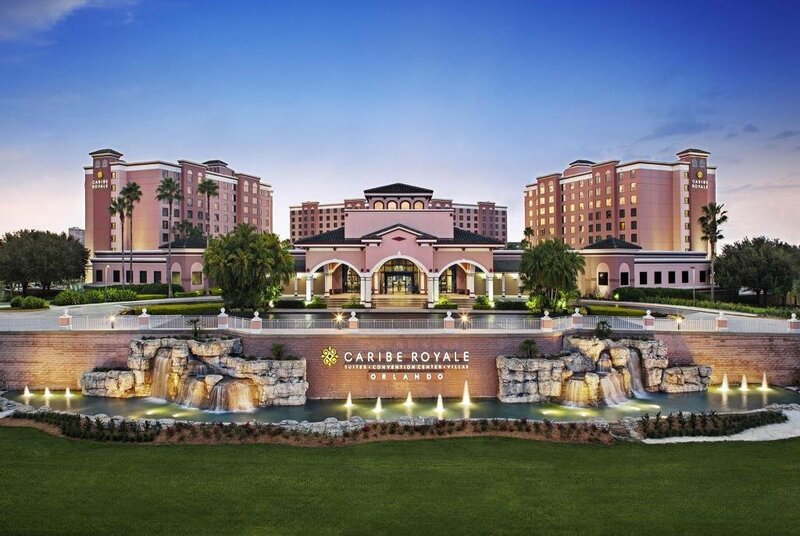 Held at the Caribe Royale Hotel and Convention Center, there were approximately 5,000 FFA members, advisors, administrators, alumni, parents and industry partners coming together to celebrate the many achievements of past and present generations of agriculturists. AquaGrove was front and center at the expo meeting students, faculty and advisors to share AquaGrove’s one-of-a-kind aquaponics system and the learning guides and tools available to teach the next generation of growers to be the first truly sustainable generation of growers. The interest from FFA students was remarkable. Student leaders from all over the state embraced the concept and technology offered by AquaGrove. Many attendees shared their stories of attempting to create aquaponic systems of their own and were excited about the opportunity of having a system that would be easier to build and manage. From student-led projects with PVC pipes to using small aquariums, attendees shared their past triumphs and defeats in trying to integrate sustainable gardening systems into their schools. While the vast majority of students were familiar with hydroponics, there were a select few learning about aquaponics for the first time. Those who were new to aquaponics were simply wowed by the fact that fish could be used to grow plants and food; they had their own “aha” moment of how the technology offered by AquaGrove could be applied to global food issues ranging from food safety and pesticides to urban development and limited land space. Many teachers who were interested in integrating aquaponics in their classrooms and programs were impressed by AquaGrove’s limited footprint and ability to be used in indoor and outdoor environments. And while students were excited to take photos with our Instagram props, teachers were signing up to receive AquaGrove’s quarterly newsletter to stay in touch and learn more about the available fundraising guide and grant resources. It was truly a pleasure meeting the enthusiastic and knowledgeable leaders of FFA Florida. We look forward to continuing the conversation and meeting up with AquaGrove’s next generation of growers in the coming months.